US President Barack Obama works with a middle-school student on December 8, 2014. Obama became the first U.S. president to write a computer program as part of a White House-sponsored “Hour of Code” event. This is the second year Code.Org has organized a campaign to teach kids (and government leaders) worldwide the fundamentals of programming. Across the Atlantic, U.K. Prime Minister David Cameron also spent an hour of code learning with young students in Britain. 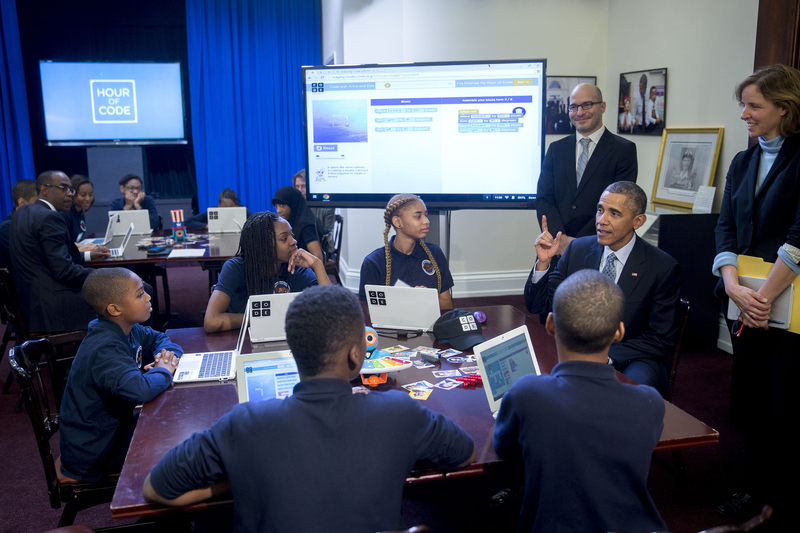 U.S. President Barack Obama, right, talks to middle-school students who are participating in an “Hour of Code” event in honor of Computer Science Education Week.